Nicholas High Income Fund, Inc. seeks to provide high levels of current income by investing in a diversified portfolio that includes primarily high yield bonds. Its secondary objective is capital appreciation. The Fund may invest in securities of any credit quality, as well as unrated securities. Nicholas High Income Fund seeks to provide a high level of current income by investing in a diversified portfolio of primarily high yield corporate bonds. The Fund’s secondary objective of capital appreciation is pursued by investing in securities that offer the opportunity for price appreciation in addition to high income. The Fund is typically benchmarked against the BofA Merrill Lynch US High Yield Constrained Index. Ratings breakout based on Moody’s. If not rated by Moody’s, then S&P; or if not rated by either Moody’s or S&P, then Fitch. No holdings in unrated securities. *Data as of 03/31/19 unless stated otherwise. We seek to add value by capitalizing on our ability to identify undervalued companies with outstanding growth potential. Our in-depth credit analysis considers each issuer’s financial resources, sensitivity to economic trends and conditions, operating history, management, and other factors. Our expertise in equity analysis enhances our bond assessments because high yield bonds and equity securities tend to respond to market fluctuation similarly. We do not limit the maturities of the holdings in Nicholas High Income Fund, and the Fund may invest in both long- and short-term debt and equity securities. Portfolio Manager - Nicholas High Income Fund, Inc.
Larry Pavelec serves in a leadership position for Nicholas Company as the Chief Operating Officer and head of product distribution. This position involves collaborating with the other senior members of the Management Committee on strategic initiatives for the Company. He also serves as an analyst and client portfolio manager for the separately managed account equity portfolios and manager for the Nicholas High Income Fund, a high yield corporate bond fund. As portfolio manager for the high yield corporate fund, he employs a bottom-up, value approach philosophy that focuses on companies with sufficient earnings growth and adequate asset coverage to meet debt obligations. Nicholas High Income Fund is generally positioned with a short-to-intermediate maturity structure and securities that we believe tend to provide more stability during difficult markets, while generating a market level of income consistent with the high yield corporate sector. Larry joined Nicholas Company in 2003, to serve as the portfolio manager for the Nicholas High Income Fund and lead the product distribution effort. 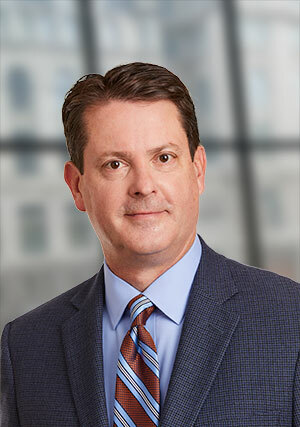 Larry's career as a credit analyst and portfolio manager began in 1984 with M&I Investment Management Corp., where he focused on investment-grade corporate bonds, asset-backed securities and mortgage-backed securities. Before joining Nicholas, he was with Brandes Investment Partners as the co-manager for Brandes Fixed Income Partners, serving as portfolio manager and head of marketing for the firm. Larry earned his B.S. in Finance from the University of Wisconsin at La Crosse. He has served on various non-profit boards over the years including the Mequon-Thiensville Education Foundation and North Shore Country Club. He has earned the right to use the CFA designation and is a member of the CFA Society Milwaukee.